Ruqayyah Boyer (Arab رقية born April 28, 1992) is a Dutch–Guyanese model and the current title holder of Miss Guyana Universe. She is also a student at university as well works as Journalist for a private daily newspaper in Guyana. 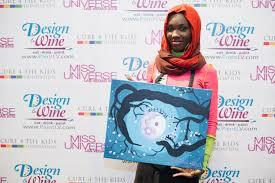 She is a Muslim-Born woman and being the first Guyanese-Muslim to win this pageant. 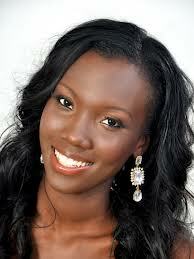 She represented Guyana in Miss Universe 2012. 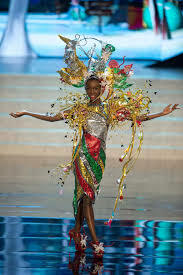 Boyer was crowned Miss Universe Guyana 2012 by Leila Lopes (Miss Universe 2011’s winner). The pageant was held at the Princess Hotel on September 14, 2012. During a question and answer segment, Boyer said that Lopes was her role model. First runner-up in the pageant was Nikita Barker, second runner-up was Canadian-Guyanese Sadhna Yunus, and third runner-up was Nikesha Alexander. On December 14, 2012, Boyer fell to the ground during the preliminary evening gown competition at Miss Universe 2012, prompting international headlines. Ruqayyah Boyer was chosen by the new franchise owner, Natasha Martindale as she is currently Miss Universe Guyana 2012, represented Guyana at Miss Universe 2012 in Las Vegas, Nevada and was a finalist in Miss World Guyana 2012. She represented Guyana in Bali, Indonesia for Miss World 2013 that was later won by Megan Young whom she befriended during her stay there. They were seen together in numerous vlogs throughout the competition.